Let's face it: doing stuff is horrible. Especially doing stuff manually every month. Well do we have the solution for you! 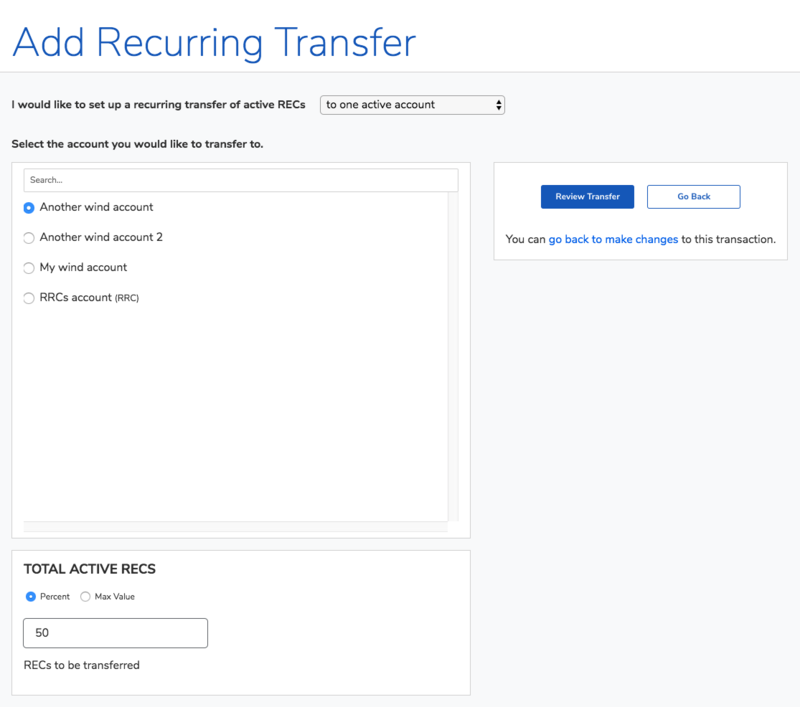 Introducing Automatic Recurring Transfers. 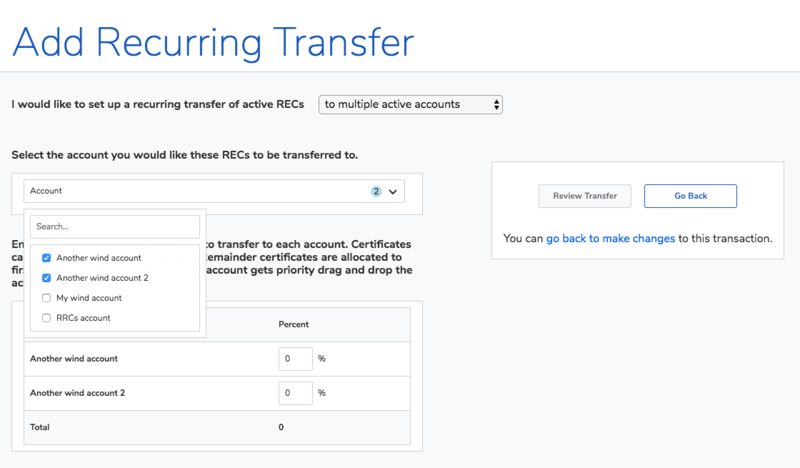 Do you have a transfer that you have to manually enter every month? Not anymore! After logging in, click on 'Transactions' on the left. You will now see there are three options on this page: Pending, History, and Recurring. Click on Recurring. 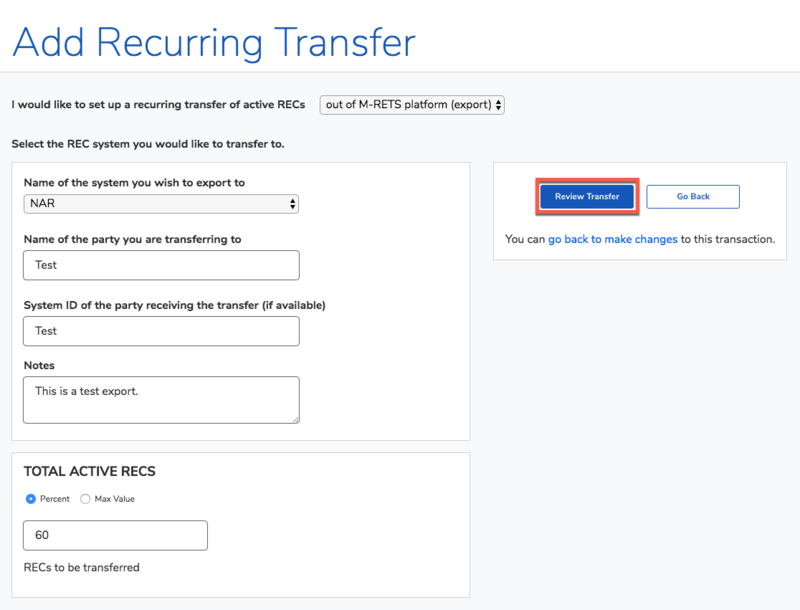 This is where you will see your recurring transfers. This article is broken up into steps in order to combine all possible transfers into one document. You will now see a list of your generators and a calendar. Once a generator is selected, you will see fuel(s) related to said generator. Select your certificate vintage start date and end date. Your transfer will be sent every month during the calendar timeframe selected. If your project is a multi-fuel generator, select a fuel type for your transfer. 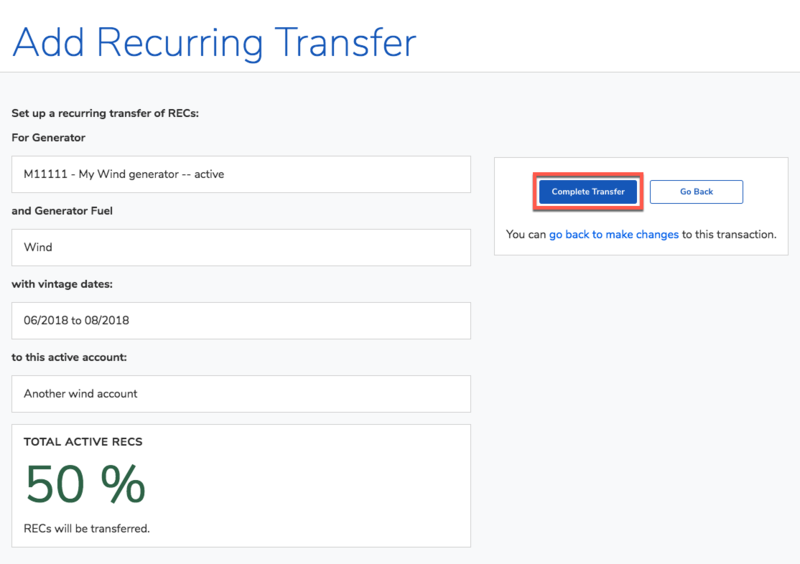 For multi-fuel generators, the automatic recurring transfer will only pertain to one fuel type. The next page will determine where you would like the RECs to go. For this example, we are choosing "to one active account". Please scroll to the next header for Multiple Internal Accounts. I have selected my account and am going to be sending 50% of RECs to the account. You can send a percentage of RECs or a max value. A max value setting will enforce a REC cap on transfers. Ex. I set the max value at 400 RECs, and issue 750 RECs. 400 would transfer. If 290 RECs are issued, all 290 will transfer. 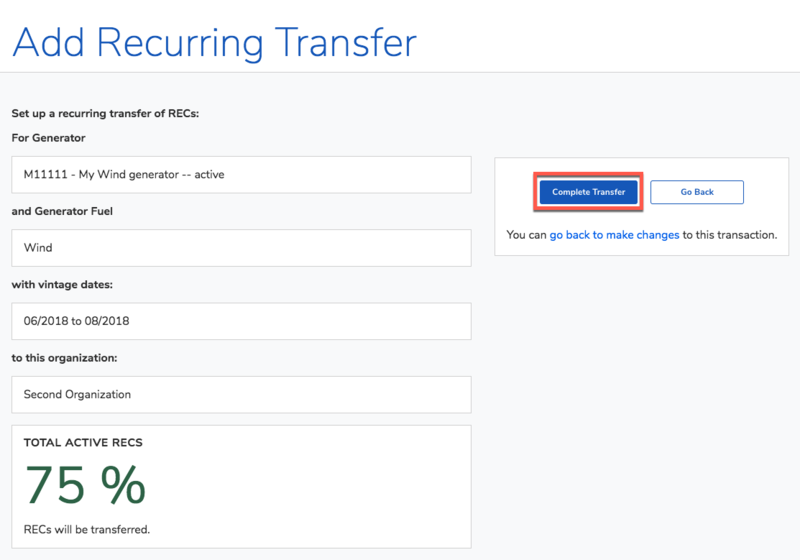 Review your transfer on this page and click 'Complete Transfer' and bask in all of the time you have now saved yourself! The next page will determine where you would like the RECs to go. For this example, we are choosing "to multiple active accounts". Please scroll to the next header for an External Account. Select your accounts from the dropdown menu, you will see them populate at the bottom of the screen. Enter a percentage split based on your accounts. NOTE: They must add up to 100%. You can drag the different accounts to reprioritize them. 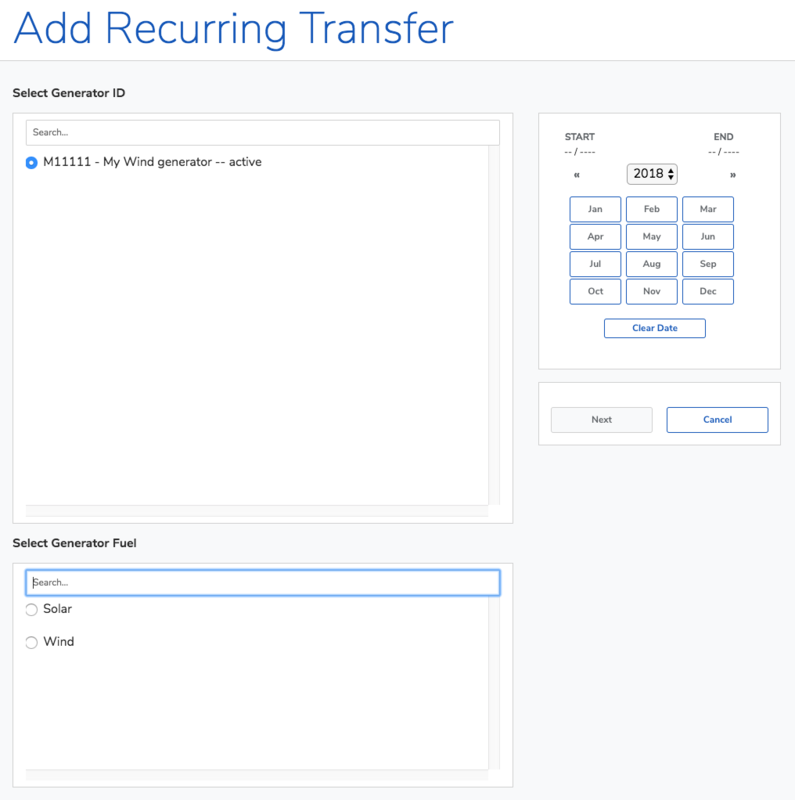 In the event the quantity to be transferred does not divide evenly it will send the majority to the first listed account. Let's put it into an example: You set Account A and Account B to both receive 50% each, with Account A as the priority. You then upload 101 RECs. Well the system will not divide a REC, so 51 RECs will go to Account A and 50 RECs will go to Account B. 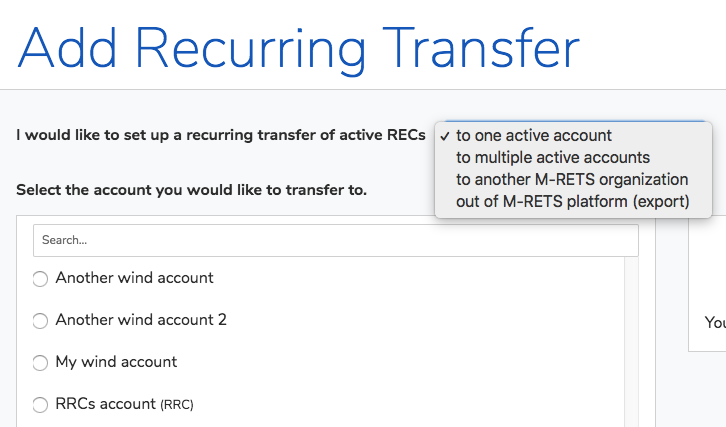 The system will display when a remainder has been assigned to an account. Verify all of your information is correct and click 'Complete Transfer'. More free time = more tea time! The next page will determine where you would like the RECs to go. For this example, we are choosing "to another M-RETS organization". Please scroll to the next header for an Export. Select the organization to which you would like to transfer. When everything looks correct, select 'Review Transfer'. Verify all of your information is correct and click 'Complete Transfer'. 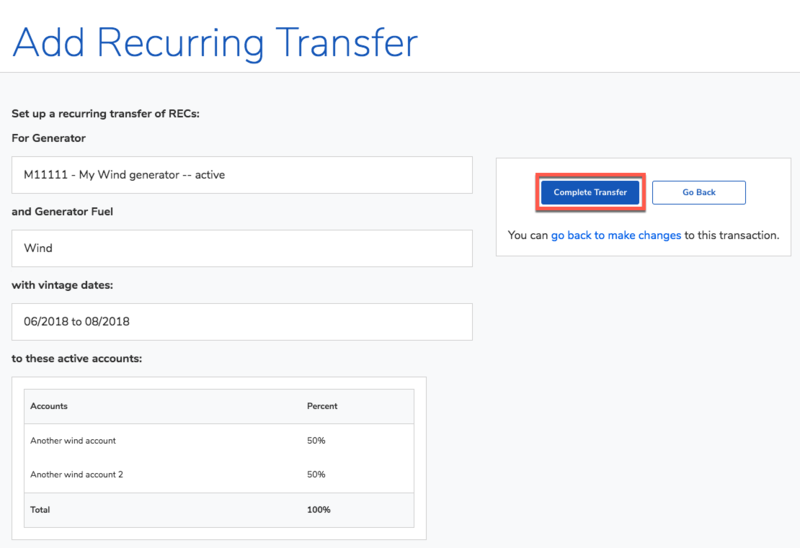 NOTE: Recipient organizations are still required to accept automatic transfers. The next page will determine where you would like the RECs to go. For this example, we are choosing "out of M-RETS platform (export)". Select the system to which you are planning to export from the dropdown menu. 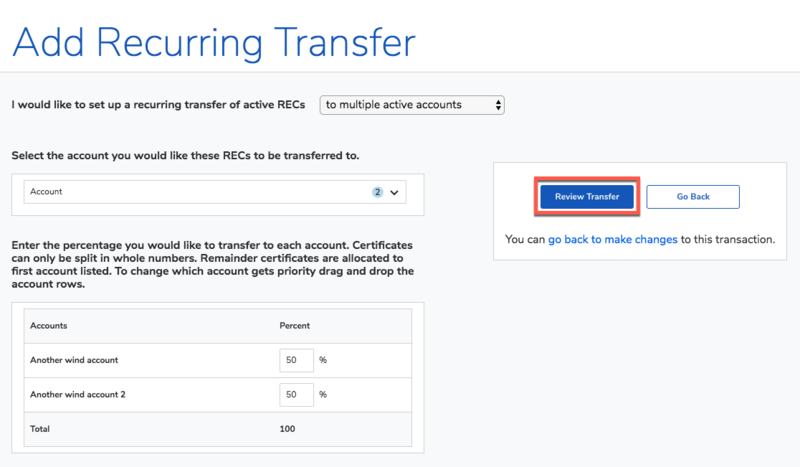 Enter any and all relevant data and a percentage of RECs to export. Verify all information looks correct and click 'Complete Transfer'. There you have it! 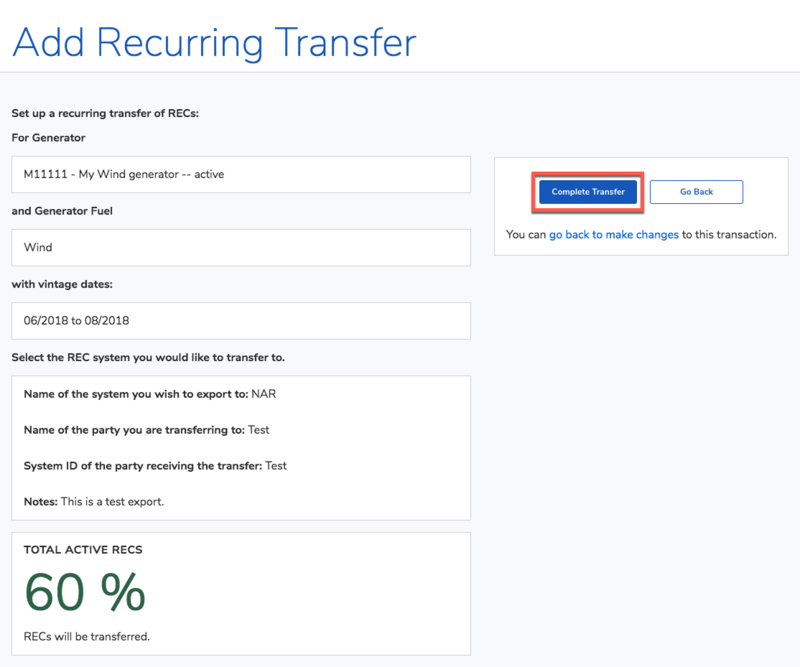 With all that extra free time, might I suggest checking out some of our other walkthroughs like Withdrawing/Accepting/Rejecting Transfers or View the Status of Current and Past Invoices?